With the aggressive nature of boxing, injuries are bound to happen. 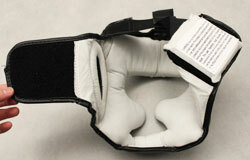 Both professional athletes and amateur boxers alike are put through the ringer during a match. Their bodies experience a lot of stress and intense blows. It’s not uncommon to see swollen or bloody fighters after a match. Because of this, the proper protection is vital. Sure, boxing gloves are the universal symbol of the sport. While they can do wonders to protect the hands, they’re more of a weapon rather than something to keep you safe. A great pair of gloves, specially made shoes, and boxing headgear form the perfect trifecta of protection. Boxing is a dangerous sport that puts a fighter’s entire body at risk. Even simple sparring can lead to injury. Sure, injuries to the torso and extremities can be painful, but they’re usually recoverable. Injuries to the head aren’t as forgiving. 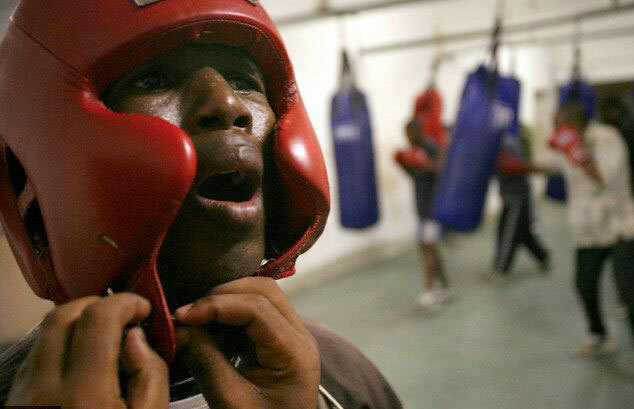 To protect their face and brains, boxers need a high-quality piece of headgear. 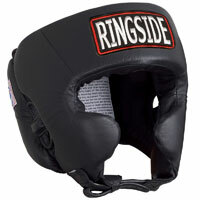 Regardless of your experience and boxing style, the right type of headgear can make all the difference in the ring. Here are some of the best options available today. 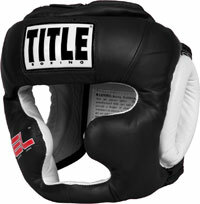 This option from Title is designed with training and sparring in mind. It has thick padding that provides protection to most of the face. The cheeks, forehead, chin, ears, and back of the head are all protected with multiple layers of foam. The piece of headgear is also lined with gel cushioning for another layer of safety. A hook and loop closure system located on the back of the head secures the piece into place. Elastic and leather allow you to adjust the fit for comfort and safety. Made of high-quality leather, this option has will have you covered through numerous matches. From Ringside comes this more affordable option. Despite its lower price tag, this piece of headgear has a lot of great protective qualities. The thick padding encompassing the head is made of laminated foam. This material disperses an impact, decreasing the chance of injury and pain. It covers the cheeks, forehead, sides, and back of the head. The contoured design provides an improved fit and more protection. The closure system is located on the chin and is made from thick straps and velcro. The entire piece is made from leather and contains a sweat-wicking suede lining. With a variety of colors and designs available, you can easily pick an option that matches your ring persona. 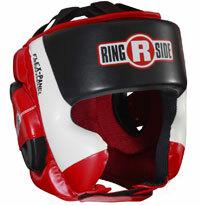 Made for professional UFC fighters, the headgear from RDX is one of the safest options money can buy. It has two layers of shock absorbing gel sandwiching a thick layer of closed cell foam. One of the most impressive things about this piece of gear is the 4-way adjustable fit. Two wide velcro straps on the back of the head, a chin strap, and an adjustable top allow you to get the perfect fit. There’s also extra protection and an eardrum guard around the ears. 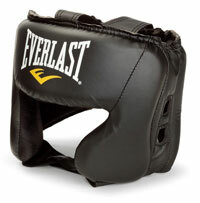 It’s made from cowhide leather, so you can rest assured that the headgear will last for many years. This option from Everlast is basic, yet effective. If you’re looking for a no-frills piece of headgear that is thin and light, then look no further. The EverFresh head gear protects the essentials and provides as much visibility as possible. A thin and adjustable chin strap and closure system ensure that the headgear fits most heads snuggly. It’s made of Everhide, a synthetic leather material. This material is tough, yet comfortable. Adequate padding around the forehead, cheeks, and back of the head keep you safe. 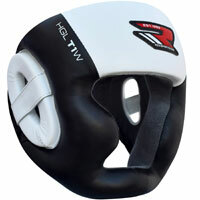 Soft lining inside the headgear keeps you dry and comfortable as you dominate the ring. This headgear from Ringside is light, yet protective. It weighs in at only 10 ounces, allowing you to have the defense you need without the added bulk. It has a Flex-Panel technology that expands and contracts. This provides a custom fit and lessens the severity of blows. The cushioning quickly spreads the shocks of the impact. A hook and loop closure system on the chin and a quick tie lace system on the back of the head provide even more customization. A polyester and elastic lining keep you dry in the ring. The exterior of the piece is made from a robust synthetic leather that can take a beating. 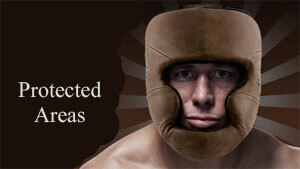 While boxing headgear may seem pretty cut and dry, there are a lot of different things to look out for. Not every piece is made the same. 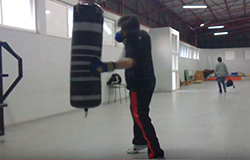 Some are made specifically for sparring while others are designed for heavier blows. By understanding what to look for, you can narrow down your search and find an option that suits your needs. The first thing you should look into is the amount of padding you want around your head. Different types of headgear have varying levels of padding. For instance, training headgear usually has more padding. On the other hand, competition headgear is lighter and doesn’t protect much of the face. While more padding is a good idea, it’s all about personal preference. You want to choose something that is comfortable to use, yet effective in providing protection. Keep in mind that a thicker cushion material will make it harder to feel hits and vice versa. You will have to make a tradeoff somewhere to get what you want. Weight and visibility are directly affected by the amount of padding the headgear has and where the protection is concentrated. With more padding, you’ll feel more weight. At first, the extra weight might not seem like a huge deal. However, even the slightest difference can throw you off of your game. Extra padding creates a larger target. It also takes longer to slip out of the way of a strike. The lighter a piece of headgear is, the easier it will be to move. The same goes with visibility. Generally, more padding affects your vision. In terms of vision, it’s important to find a healthy amount of padding that doesn’t get in the way. You want to ensure that your peripheral and upper vision isn’t affected too much. 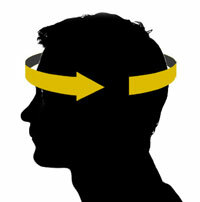 Generally, headgear provides coverage to your forehead cheeks, sides, and back of the head. However, some manufacturers incorporate more or less coverage. When it comes to the cheeks and forehead, coverage is important. These areas are the most vulnerable parts of the face and affect your vision. The sides and back of the head are also susceptible to wide punches. Chin protection is a good idea, but you may find that keeping your head down is difficult. Nose protection, while rare, is a good idea, but notorious for blocking vision. The lining of the headgear is all about personal preference. Different types of materials are more comfortable to others and are easier to maintain. For some fighters, slick materials are the way to go. However, others have found that they cause the gear to slide around. Headgear can come with a variety of lining options, from thin and breathable fabrics to thick and fuzzy choices. It’s important to take this into consideration and try on different options to ensure that your head is as comfortable as possible. The fit is one of the most important aspects of headgear that you should consider. Because every head is shaped differently, not every piece of gear is going to work for you. It’s important to try on different models and pay attention to how it fits your head. Headgear should cradle your head. There shouldn’t be tight spots along the sides or back of the head. This only causes pain and distraction with prolonged use. The same goes for a loose piece as well. The headgear should fit perfectly and comfortably. Fasteners can play a big role in how a piece of headgear fits. Like with gloves, headgear needs to fit snuggly and securely. 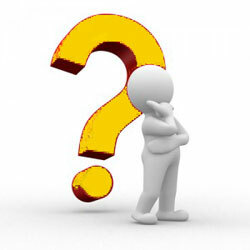 There are a couple of types of closure systems that can be located on the back of the head or under the chin. Usually, lace-up closure systems located behind the head are best. They can provide a custom fit. The laces can be tightened in some areas of the head while loosened at others to get a comfortable and unobtrusive fit. Velcro and clip fasteners are effective, but they don’t offer the same flexibility as lace. Furthermore, chin straps often get in the way during a fight and can prove to be cumbersome with prolonged wear.